Both Samsung and its users can't forget the Note 7 explosion fiasco that had been later confirmed that the battery was the reason behind. As much as 4 million Note 7 phones have been recalled to abate further damage. Samsung suffered $3 billion operating loss due to Note 7. Now, to slack off the operating loss, Samsung is seeking to introduce refurbished Note 7 phones in select markets where low price is the key thing to buy a phone. 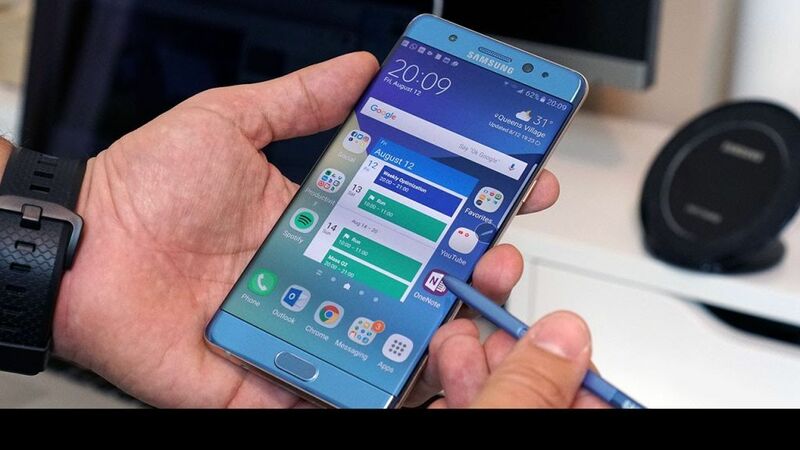 Samsung has recently confirmed the aired rumors about the company's plan to sell the refurbished Note 7 phones. While keeping in mind the safety concerns of Note 7, Samsung wants to introduce the phone in India, Vietnam and Africa. Originally priced at $950 (Rs 60,000), the refurbished version of Note 7 will be sold at half the price to the original phone. According to the Chinese electronic media, CN TV, Samsung has prepared to keep the phones available to buy in June this year in the emerging markets viz., India, Africa and Vietnam. The South Korea environmental law avers that the metal components of a smartphone should be recycled and re-used twice before they are crushed. This law made Samsung sell the refurbished Note 7 without disposing of.